We have a heightened sense of smell when we are hungry. Our sense of smell is what allows us to perceive flavor in our food; hence when we plug our noses and chew cinnamon raisin toast, all we taste is sweet, but when we unplug our nose we taste the cinnamon and raisin. When I first tried the new limited edition Apple Crisp Yoplait yogurt, I was hungry. I could taste fresh apple pie with oatmeal/brown sugar crumble on top. This yogurt is delicious and very balanced. The second time I ate this yogurt, I did not catch-all the “nuances” that I did when I was hungry, but it is still just as delicious. The flavor in Apple Crisp Yoplait is amazing. I’m in awe of the flavor scientist that created this flavor. Apple flavor is fairly easy to create, apple cinnamon is easy as well, but apple crisp flavor is very challenging. Blending the brown sweet buttery notes of the topping with apple is extremely difficult. 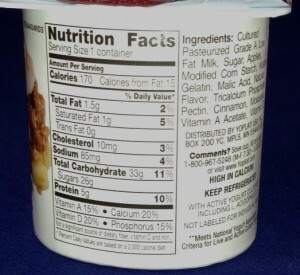 There are natural extracts available for apple and cinnamon; but not much for “crisp”. Flavor scientists work with natural products because mother nature makes the best flavors. Trapping the flavors from natural products at a reasonable cost is part of a flavor scientist’s job. Getting a flavor to taste good in a yogurt (sour dairy base) is also very challenging. 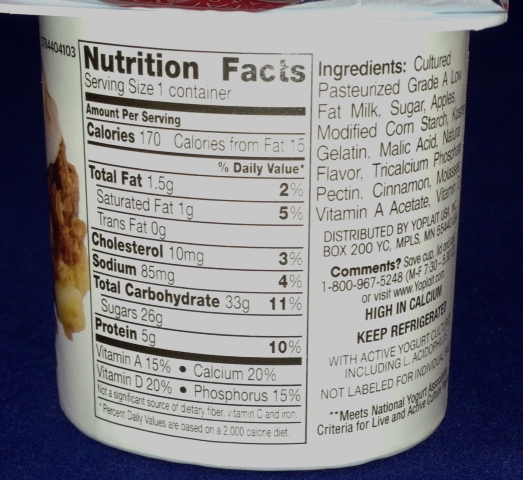 Yogurt is produced by microbial processes and has live microbial cultures in it, so it is troublesome to flavor. Microbes produce flavor compounds (butyric acid) and flavor chemists must account for these flavor ingredient changes. What tastes good in “white mass”(yogurt)on the first day, does not taste the same seven days later. An ever changing base can contribute to a person’s changing perception. 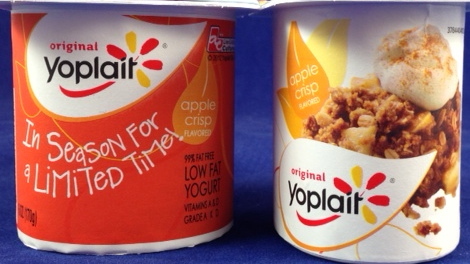 Yoplait apple crisp flavor yogurt has the texture and sweetness of their standard yogurt;. But those of us who prefer tart and creamy Greek yogurt may not like apple crisp flavor Yoplait.